RV Park and Campground Consultanting Services - Bud Styer & Associates, LLC. Bud Styer & Associates, LLC. offer a wide variety of Campground, RV Park and RV Resort services to help you no matter what situation you and your campground business are in. Here are just some of the many services we can offer to you. Whatever your business goals are, Bud won't simply tell you what to do ... he'll work beside you and show you how to do it! 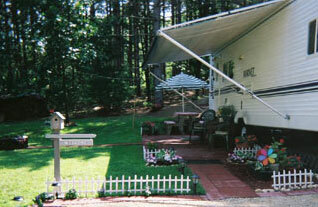 Most of his work is customized to the very specific needs of your Campground or RV Park. Bud Styer, can meet with you and help you with new skills, strategies and ideas, which can be applied immediately to your own facility situations no matter where you are in the continental USA.